For this book, 60 dancers, ballet masters and choreographers of nineteen nationalities were portrayed. Most of them are working at the National Ballet of the Netherlands, but in the book are also dancers of Scapino, International Dance Theater and the Nederlands Dans Theater. Away from stage, decor, theater lights, costumes and make-up, the dancers are photographed in a very personal way. The photographs show personalities, not roles. All movements and poses are executed in the dance studio, the place dancers spend most of their time to train and rehearse. The series contains dancers from all ranks of ballet: from young professionals of the corps de ballet to world famous principals. Some names: Anna Tsygankova (cover), Maia Makhateli, Jozef Varga, Artur Shesterikov, Larisa Lezhnina, Young Chu Goy, Alexandra Radius, Hans van Manen, Juanjo Arques, Michaela DePrince, Floor Eimers. In the middle of the book, the photographs of dance moves are interupted by a special section of portraits (head shots), printed on a different kind of paper. This part of the book enhances the personal approach of the photographer and also gives room for portraits of ex-dancers, choreographers and ballet masters who do not dance on stage anymore. 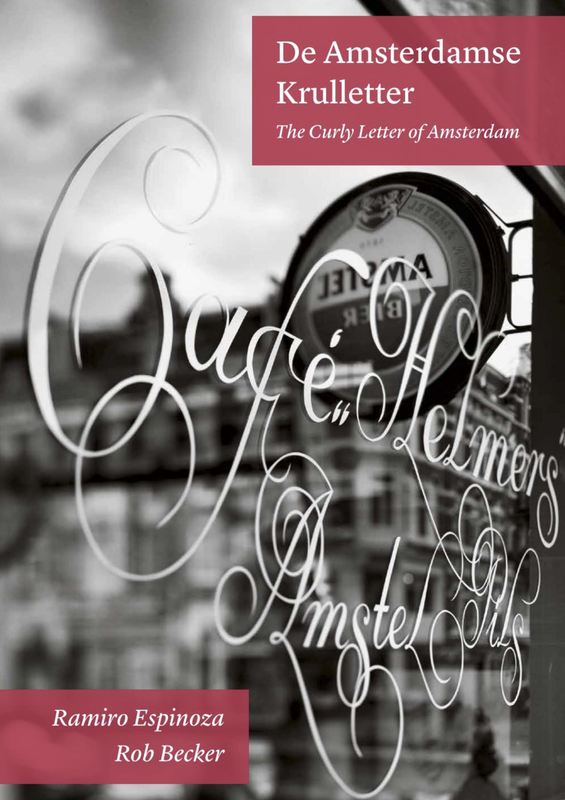 What are the origins of the curly letters that can so often be found adorning café windows across the city of Amsterdam? Who painted them? How old is the style and where were they designed? Do the letters represent an expression of the Amsterdam graphic tradition? And what are the links to calligraphists from the Dutch Golden Age? The Amsterdam curly script delves into this Dutch tradition of letter design, which was overlooked until very recently. Over a period of seven years, letter designer Ramiro Espinoza interviewed letter painters and their families, researched photo collections in the Stadsarchief Amsterdam and gathered evidence in order to provide answers to the most important questions relating to this relatively unknown area of Dutch popular graphic culture, and to stimulate awareness about its cultural relevance. In beautiful black and white, photographer Rob Becker documented all existing windows in Amsterdam, Maastricht and Gent in order to capture the ambience and context in which the curly script flourished. His photos form not only a report of the topic in general, but they also form a true artistic homage to the Amsterdam ‘brown’ cafés.